Walk Start / Walk Finish: Setley Pond Car Park. Parking: Free Parking at Setley Pond Car Park. Defining Features: The discovery of Roydon Woods made this walk for us. We never knew they were there. Pros: Roydon Woods have a delightful atmosphere and are a pleasure to visit. Cons: The walk involves crossing the busy A337 twice; once at the Hobler Pub and again at the Filly Inn. Begin the walk keeping the pond down to the left along a gravel track. 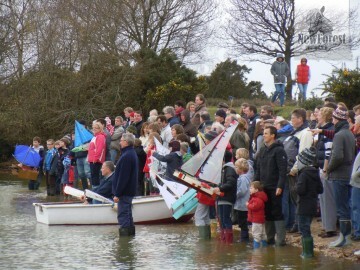 Setley Pond is the venue for one of the most important sailing events of the year – the Boxing Day Model Yacht Race. The rules dictate that all boats must be constructed from scratch by the owners – and not from any kind of kit. To the right is an undulating, heath covered landscape. As the end of the pond approaches, cross a gravel road diagonally up a grassy track, leaving a house and farm to the right. 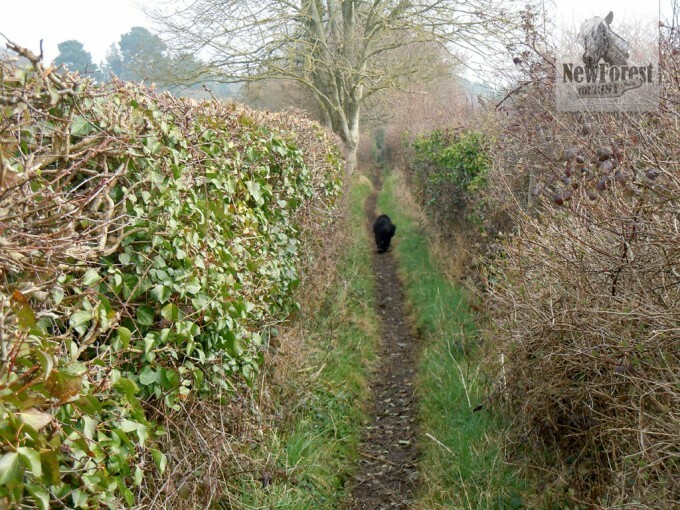 As you continue onto a grassy path that seems to end at a corral, look out for a stile tucked away in the right hand corner – nip over, and follow the narrow path between hedges of holly, honeysuckle and open meadow. This will lead you to a busy road opposite the The Hobler Pub. Cross the road and turn left along the roadside pavement. 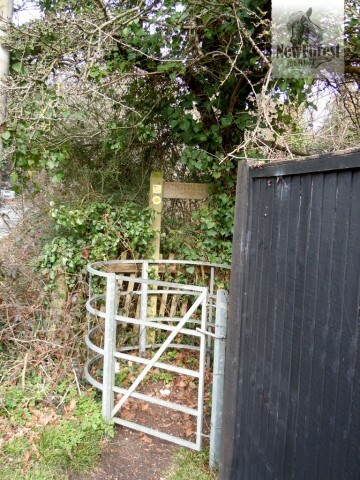 Once you’ve passed the pub look for a metal kissing-gate tucked away on right with a signposted footpath. Follow the path through a wooded area on the left and fields on the right. 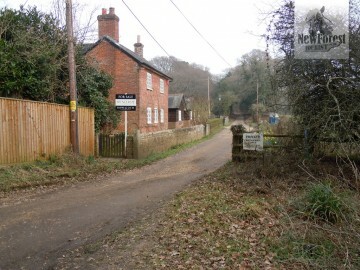 Cross over a stile into a field and keep to the right hand side, passing some idyllic houses. The route continues downhill, over another stile, over a minor road (the delightful Lower Sandy Down) and up the other side through another wooded area. One more stile and you’ll find yourself walking between two hedges, at the end of which is a narrow lane. Opposite is a sign proclaiming the beginning of the Roydon Woods nature reserve. Keeping straight and following the grassy track through a five-bar gate, the traveller now dives into the woods via another wooden gate on the left (marked as a Permissive Path). 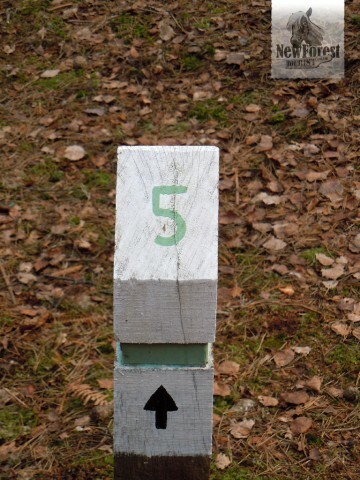 The woodland path is signposted by white posts which (in this direction) start at number 5 and continue to number 1. 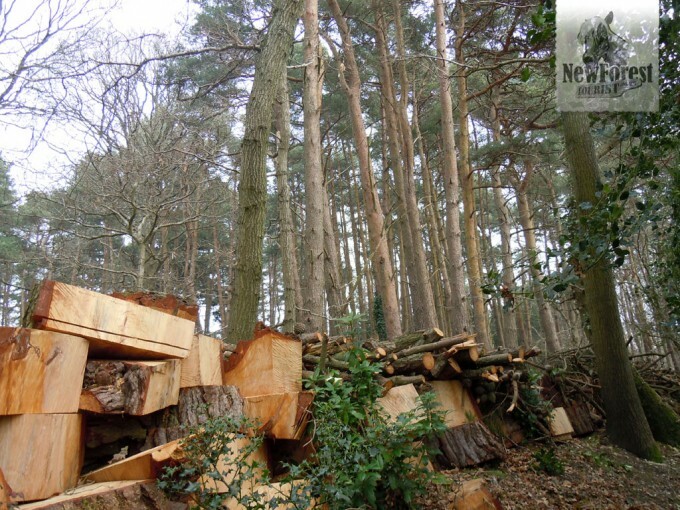 Most of the wood is broadleaved woodland with areas of conifers, meadows and heathland and are a haven for butterflies, foxes, badgers and deer as well as tawny owls and woodpeckers. 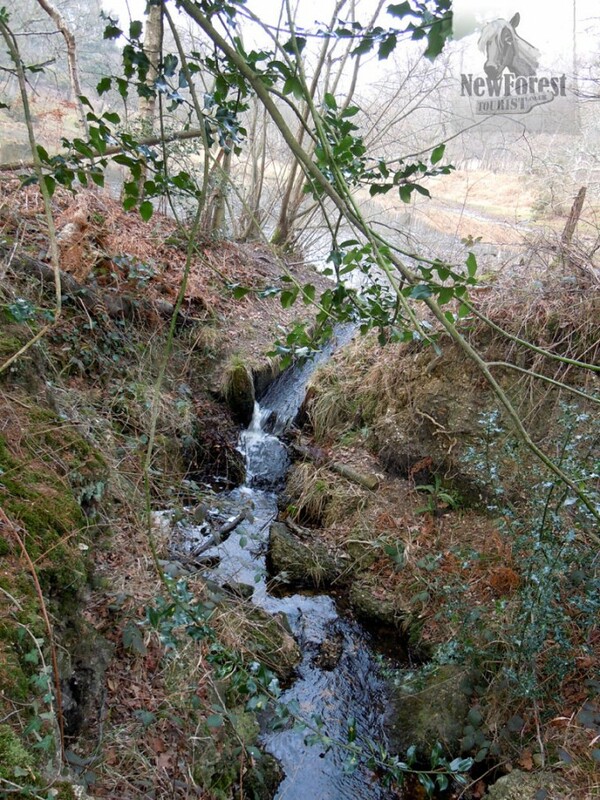 The path will take you downhill over a stream and up to another gate, leading onto a bridleway. Turn left and continue on the track as it makes its way towards the A337. While walking on the track you’ll notice a number of driveways to woodland properties, so be alert for the occasional car. Just beyond the cattle grid is Setley Farm on the right, a sign that you’re approaching the busy main road. Stop for a swift half at the Filly Inn if you fancy a break before crossing over. Once across this surprisingly fast stretch of road, skirt the cattle grid of the turn to Sway and turn immediately left onto a path through the bracken, roughly parallel with the A337 to the left. 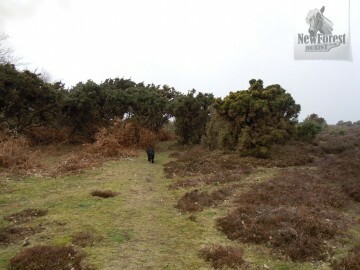 After a while it leads onto a well-grazed area, studded with gorse and clumps of heather. Bear right here, heading just to the left of Peterson’s tower (a tall concrete folly) on the skyline. Continue across the heath, bearing gently to the left until you meet the road a few paces west of the entrance to Setley Pond car park. Cross the road and make your way down the side of the track back to your car.